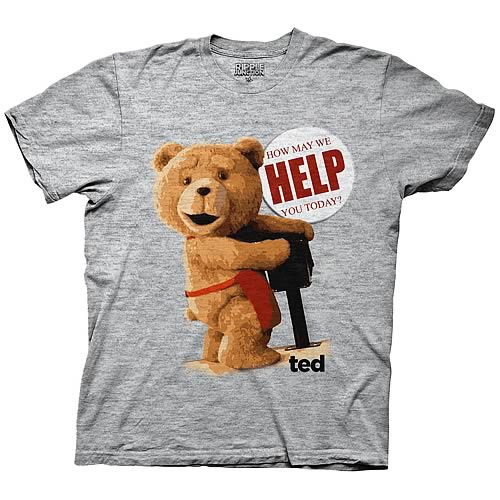 Ted from Seth MacFarlane's hit comedy movie Ted wants to be of service and he's not exactly being shy about it on this Ted How May We Help You Today Gray T-Shirt! This gray tee features the teddy bear Ted in a red apron with the words, "How may we help you today?," in red lettering. Add to your Ted collection with this Ted How May We Help You Today Gray T-Shirt!